happy friday! 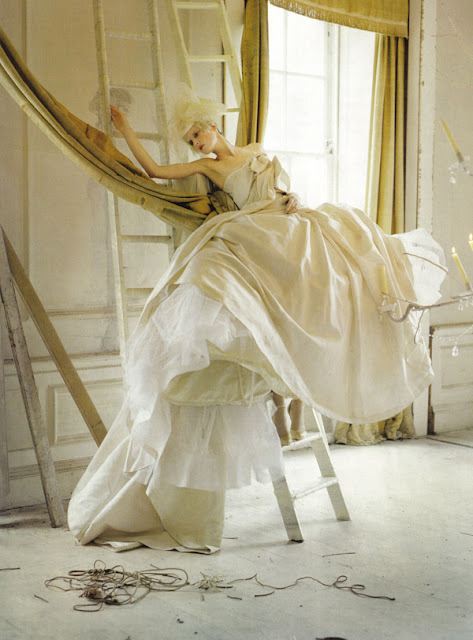 how beautiful and romantic are these images by tim walker for vogue italia? i had such a hard time narrowing down the photos from the editorial because they're all breathtaking. see them all here. Oh yes! These are magical and dreamy :) Have a great weekend! These images are amazing, I love the combination of 'boudoir' and shabby! The Italians have such vision & style! reminds me of marie antoinette...love! so happy you all liked these so much!